Did you know that in 2014, Cape Town was named the "best place in the world to visit" by both The New York Times and The Telegraph? And that it was also named the World Design Capital for 2014 by the International Council of Societies and Industrial Design? Clearly, the legislative capital of South Africa has a lot to offer! And with more and more discount on flights to Cape Town from London, & these flights not only affordable, but also easy to get to. No matter if you are searching for stunning beaches, unique nature or bustling night life – Cape Town has it all. Combine that with a welcoming climate, interesting historical sites and some of the best vineyards of South Africa, and any further explanation as to why the city was awarded the above titles becomes redundant. Being a major destination for immigrants and expatriates alike, Cape Town is one of the most multicultural and diverse cities in the world. 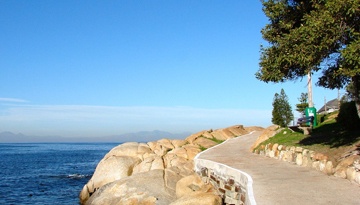 It is particularly well-known for landmarks like the Table Mountain, Cape Point and its unique nature. The first mention of the Cape of Good Hope was made by Vasco de Gama in 1497. However, the first European settlement was built by the Dutch East India Company as late as 1652, as a way-station for ships traveling to the East Indies. The city owes most of its famous Dutch style buildings to this early period. Check out Long Street and its scenic cafés to get a taste of this architecture. Cape Town has mild, wet winters and dry, warm summers. Due to the crowds of tourists taking over the city in summer, the best time for a visit is from March to May and from September to November. This jewel is well-known for its high levels in biodiversity. An estimated 2,200 species of plants are confined to the Table Mountain, which make it unique in the world. Hence, its protected areas are a World Heritage Site and a must-see while in the city. Another thing you shouldn't miss out on in Cape Town is the Victoria & Alfred Waterfront with its great views of the Atlantic Ocean, the city and the Table Mountain. With its shopping venues and the Two Ocean Aquariums (go watch the white sharks there! ), it is the most visited tourist attraction in the city. If you like seals, take a ferry from the Nelson Mandela Gateway, which is just around the corner! Of course, a tour through the vineyards should be on your bucket list as well. Wondering about how to get around? Cape Town is a well-developed city with a great transport network. Just don't except to discover much of the city by foot, as it really was built for drivers! For booking Direct flights to Cape Town from London are very competitive, but to get a discount flights to Cape Town from London consider a change of plane on route, alternative hop on a cheap flights to Cape Town and pick up an internal flight. 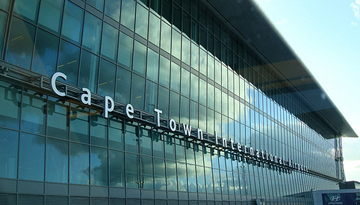 Best Emirates flights to Cape Town from Heathrow with return economy class fares at £599*. 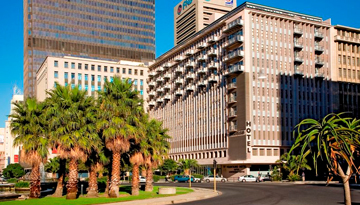 Fly from London - Cape Town & Stay for 3 nights with 4 star accommodation. Room only.